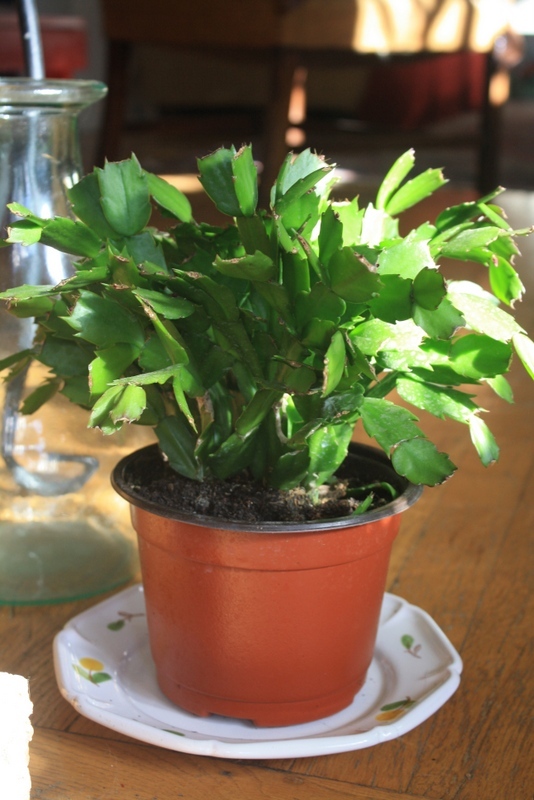 You are currently browsing the category archive for the ‘[Monday – Liza's Plants]’ category. This cute little plant was a volunteer in a pot with a different succulent, and for a long time, I had no idea what she was. 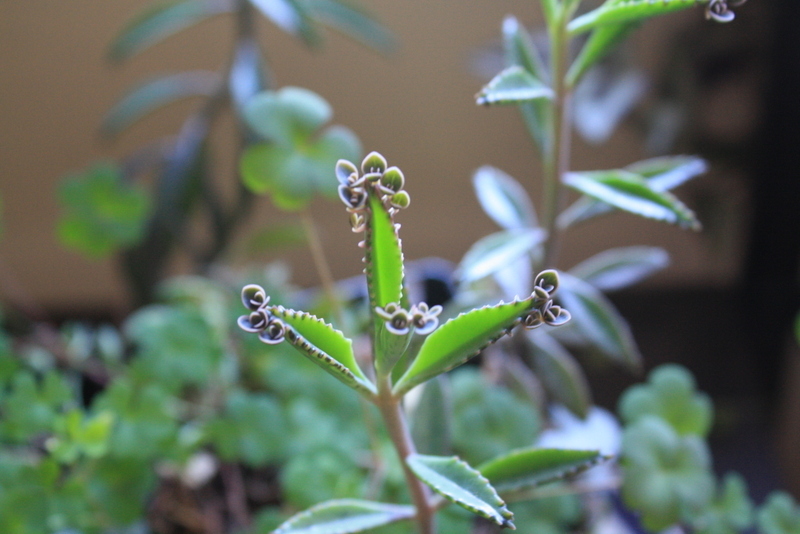 Since then, I determined that she’s probably a Kalanchoe daigremontiana, or Mother of Thousands plant. 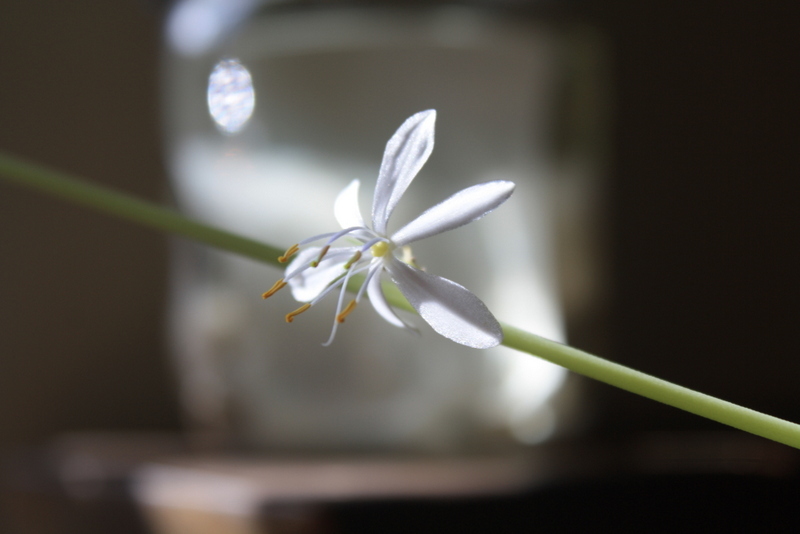 The thousands refers to the little plantlets that are beginning to grow along the edges of the leaves. 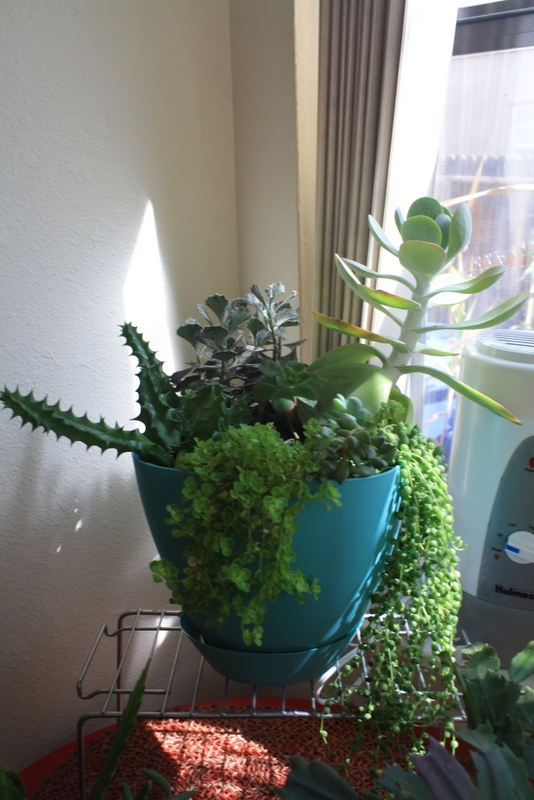 Apparently they’ll fall off and start new plants down below the mother plant. Despite my opening sentence, I’m not actually worried about thousands of babies. 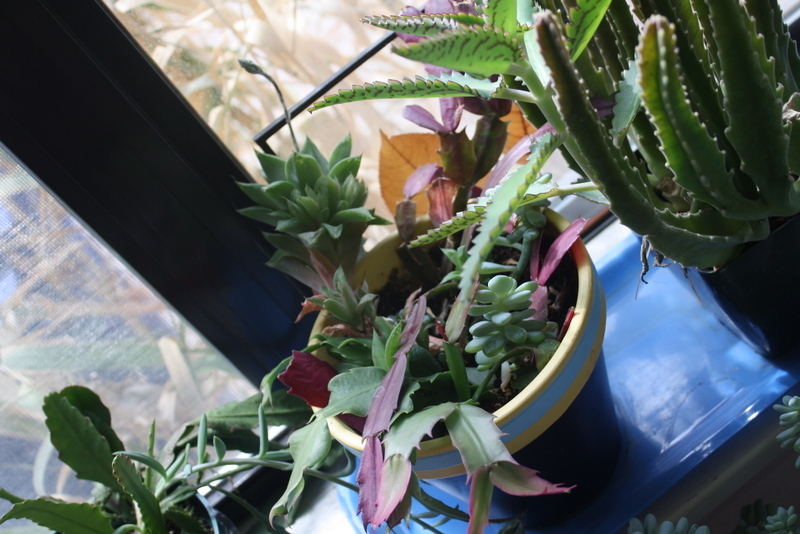 That name could practically be applied to every succulent – it seems like they all propagate super easily. Which is fine by me, as I think they’re so cute! Pretty, huh? They may not be that thrilled to be crammed in together, but I’m glad to make the move from five plant containers to one container. Feels exactly like decluttering. Well whaddaya know? 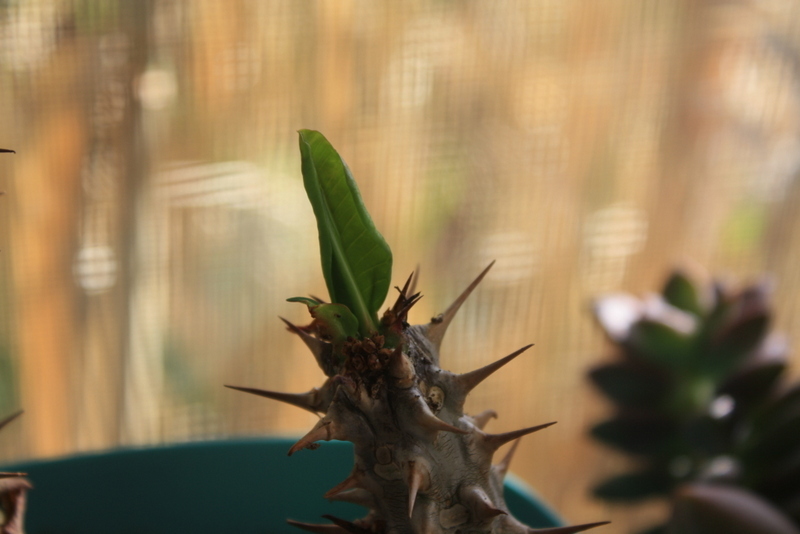 Remember when I smuggled those Euphorbia milii ‘Crown of Thorn’ cuttings from Florida back to New Mexico? (I wrote about them here.) They dropped all their leaves shortly after I planted them, so I didn’t hold a lot of hope for them to survive. But they did, and now they’re producing new leaves! Appropriately, the new leaves started emerging just before Easter. Coincidence? I could not answer that. But it’s cool. Oops! I did that thing again where I was trying to give a couple of the Experts more time to submit their work, then got too busy over the weekend to complete the Experts post. My bad! I’ll save everyone’s answers for this coming Friday. Sorry about that! See the bud stalk in the back? 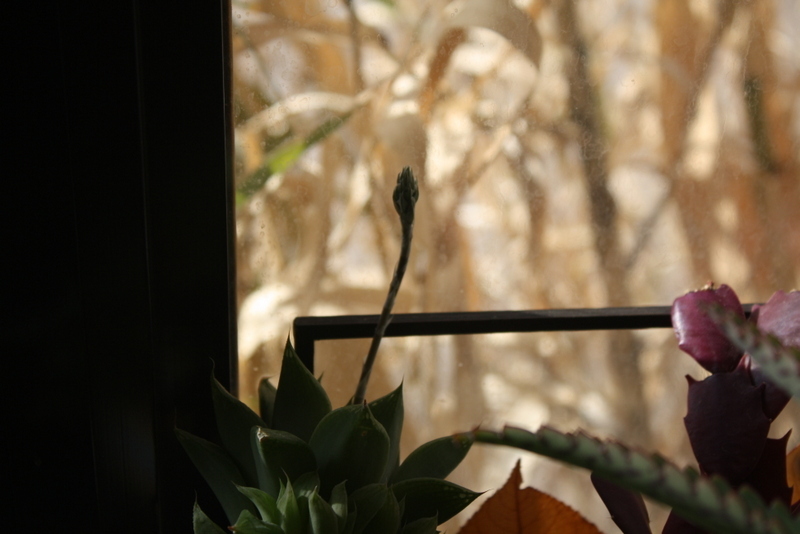 The plant is a Haworthia hybrid, I believe. 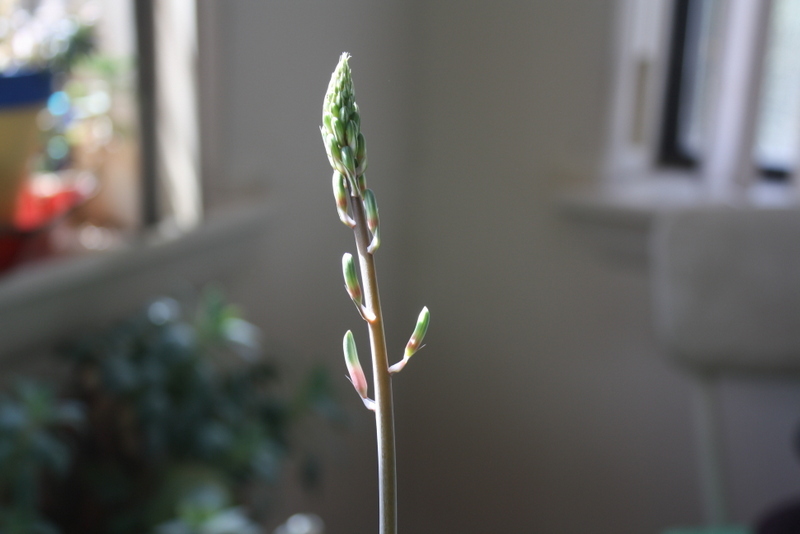 It was a chunk taken from a bigger plant, and this will be its first bloom (the parent plant has never bloomed). I guess that means he’s happy with his south-facing windowsill. 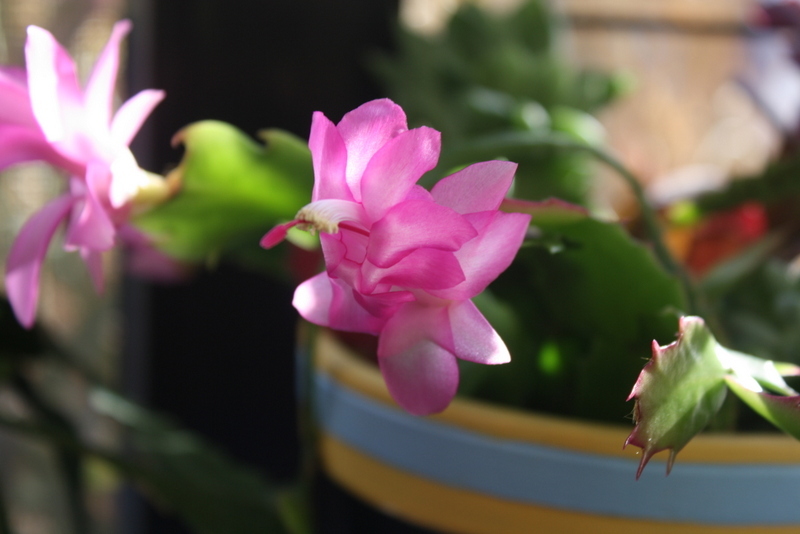 The flowers haven’t opened yet, but you can already see their charming colors. Gus has bloomed before, and if I remember correctly, the stalk ended up being three or four feet tall by the time he finished. In other words, he’s just getting started this go-around. 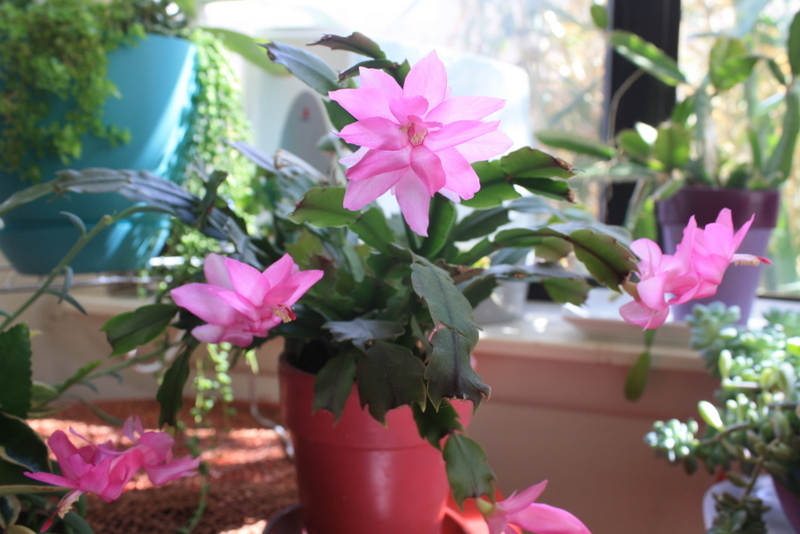 I love it when houseplants bloom! Oh gosh, I’m so sorry everyone – I totally blew off Friday’s Ask the Experts Panel. I got too busy with work. So now the plan is to hold on to everyone’s answers until this coming Friday. Growing like crazy. Believe it or not, I thinned out about half of them roughly three weeks ago. 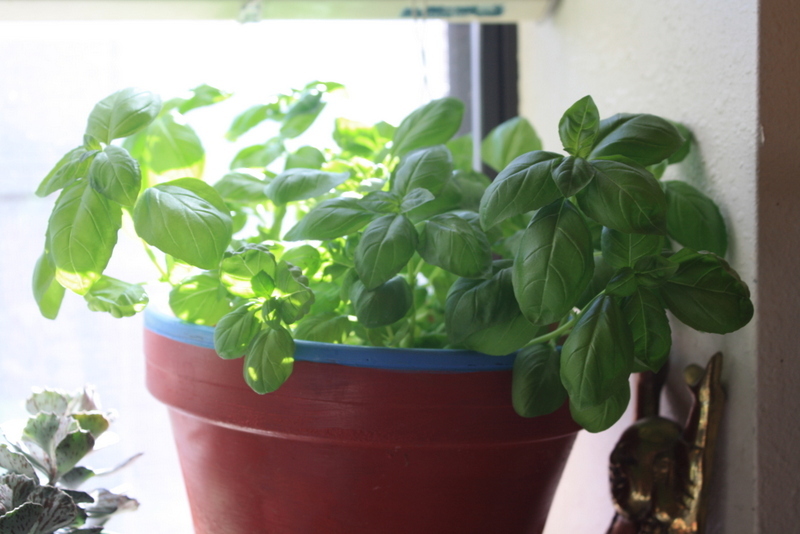 There is something so special about having fresh herbs growing on the kitchen windowsill. They’ve been making lots of meals much better. 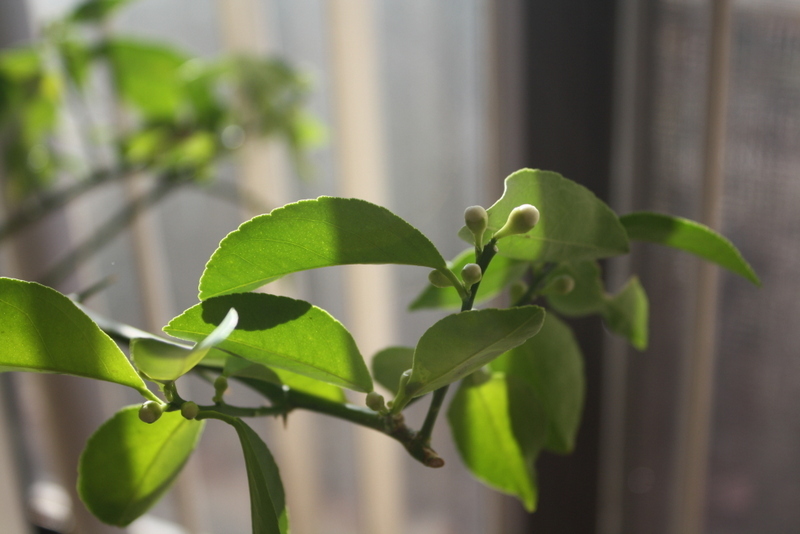 No matter how busy I am, I have been checking on these flower buds everyday. I’m pretty sure I’ll smell when they open but I still walk over and check again and again. 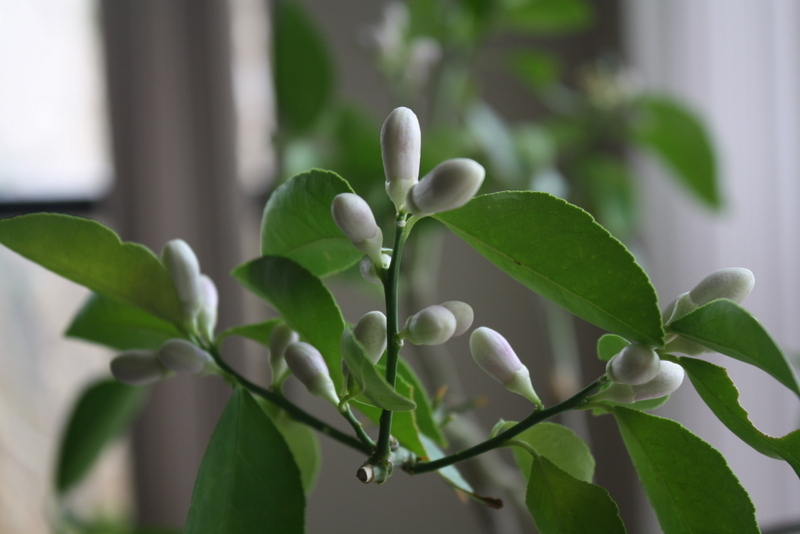 I cannot wait until someone develops the technology to share scents online – I’ll totally sign up my Lemon tree to be a volunteer. It’s a gloomy weather day in Albuquerque. Thankfully, it’s not storming like it is elsewhere in the country. Still, we’re not used to the clouds. Which is plantastic news. The whole tree is covered with buds. To say I’m excited would be the understatement of the year. 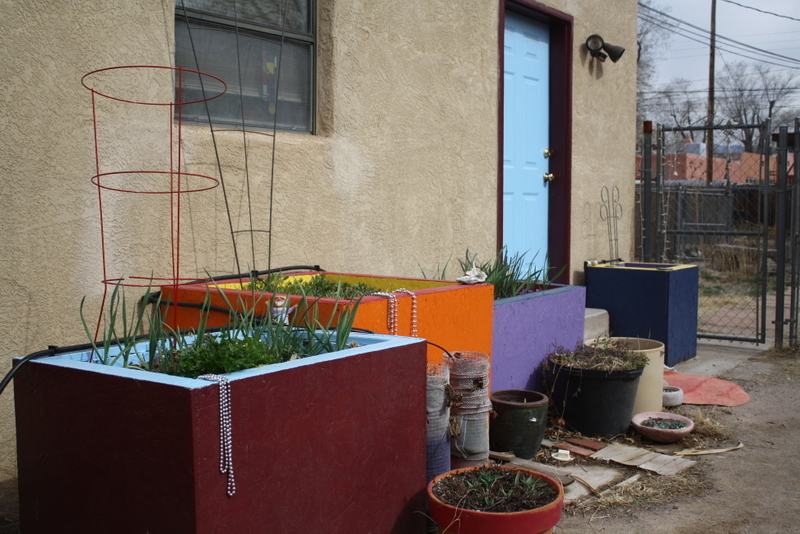 The parsley and oregano never died back over the winter, instead staying green the whole time. The Zauschneria disappeared but is already back in force. 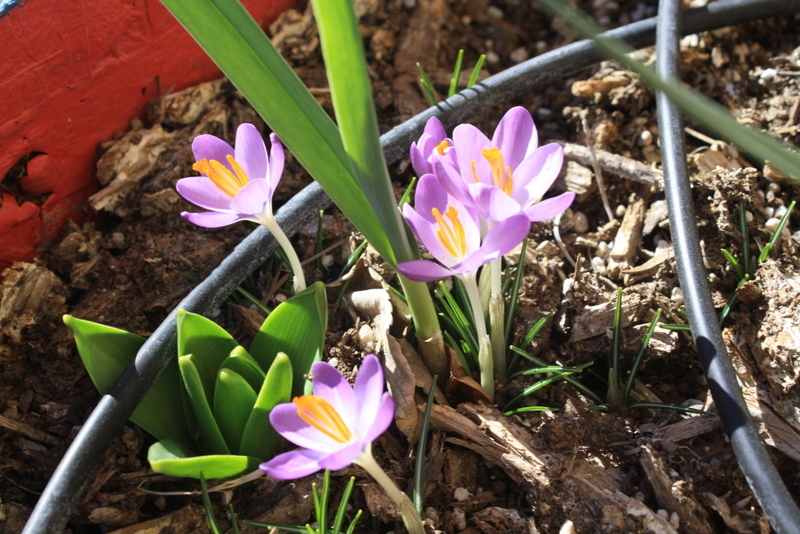 The Crocus flowers have been blooming for a couple of weeks. The Daffodils should be blooming in days. The Hyacinths are moving along, as are the Tulips. It may only be mid-February, but it’s already spring in the desert. 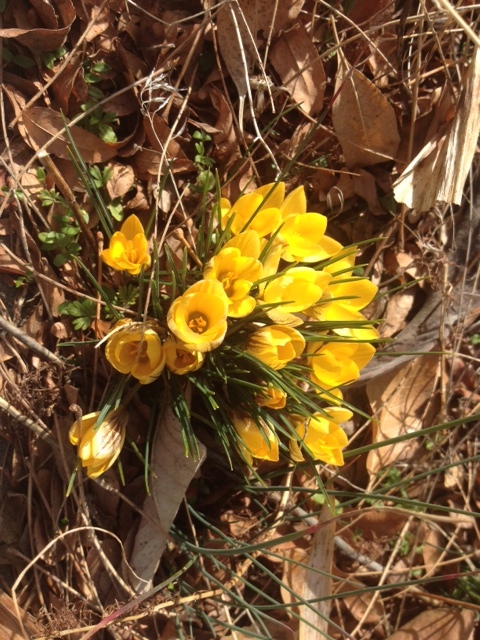 I spotted the first Crocus blooms on January 30th, which was three days later than the previous year. So that’s very exciting. Signs of spring everywhere! Not to mention the 70 degree temps over the weekend. Hello everyone, I’m back! I had a great little getaway. I hope you enjoyed the art pics from around Albuquerque while I was gone. I’m hoping to get back to some semblance of a normal blog schedule now. She’s pretty cute, isn’t she? 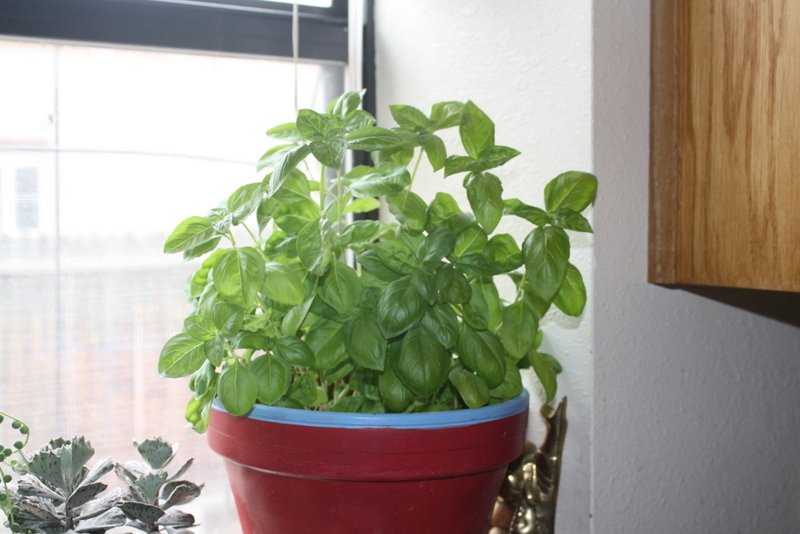 My landlady gave her to me yesterday, insisting she’s no good with indoor plants. 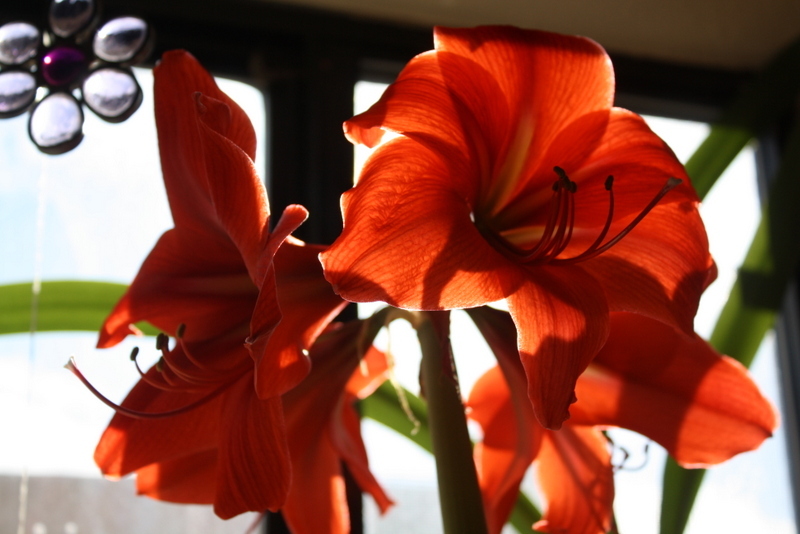 I already have three Schlums (all of which are still blooming) so I didn’t really need another. But it’s hard for me to say no to a free healthy plant. What do you think I should name her?